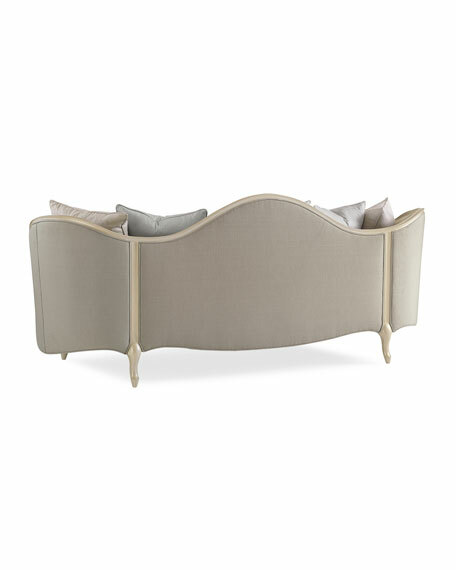 caracole All That Jazz Sofa 91.5"
caracoleAll That Jazz Sofa 91.5"
This sculptural frame expressed in a wispy grey dawn palette of pale blue and creamy taupe hues is reminiscent of classic French styling - and all that jazz! 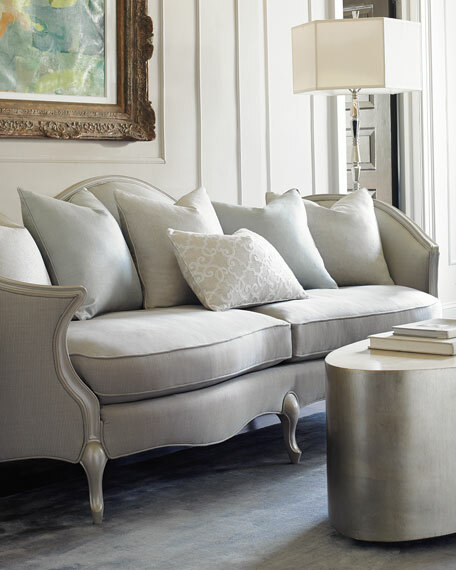 Glamorous touches include the woven base cloth, which is nicely balanced with our pearlescent powder puff finish. 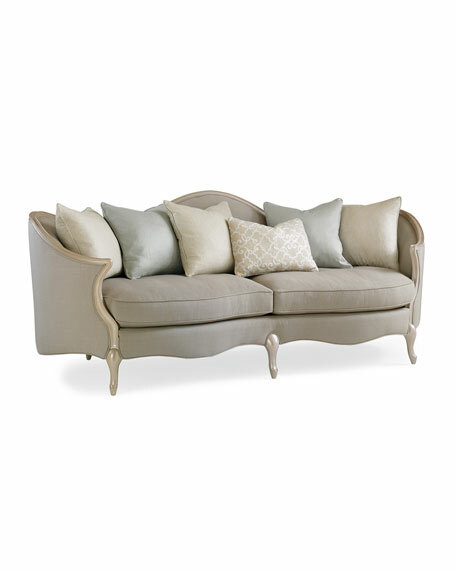 Handcrafted sofa in a French-inspired silhouette. 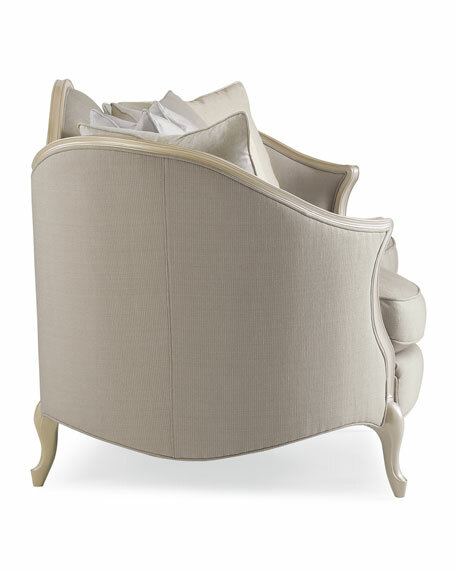 Tight back; two seat cushions. Overall, 91.5"W x 37.3"D x 38"T. Inner dimensions, 70"W x 20"D x 21"T.
Boxed weight, approximately 216.1 lbs. 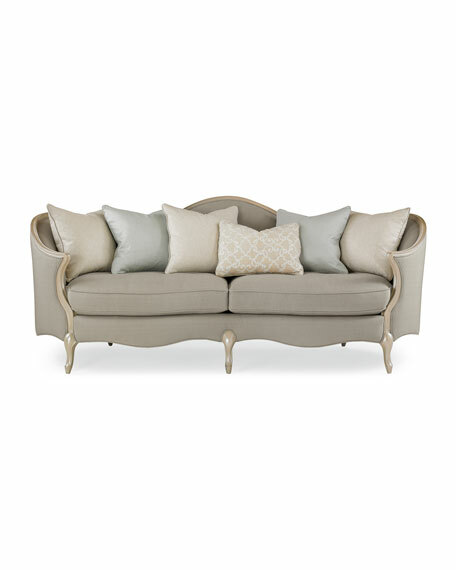 For in-store inquiries, use sku #2715973.